The Irish based five-piece outfit I Draw Slow are no newcomer to Folk Radio UK. We were first introduced to them when they sent us a demo a few of years ago. 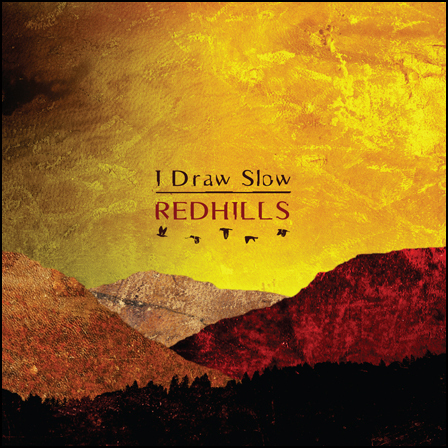 They were great then but their latest release ‘Redhill’ raises the stakes of their musicianship to the roof! Their rich blend of Appalachian / Irish / Americana / Roots is back with a truly well-honed edge. 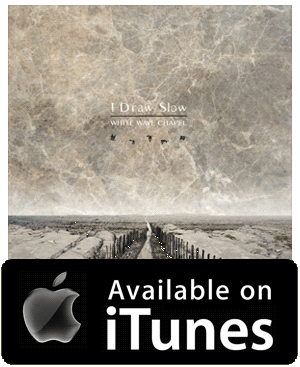 It is not only the musicianship of I Draw Slow which gives the American top league equivalents a run for their money but also their finely crafted songs which offer a unique angle of storytelling unlike anyother Roots band out there. The tales are not what you may be expecting which adds to their unique attraction. There are dark underlying tales to their foot tapping music, none more catchy than ‘Goldmine’, a dark and sorrowful tale about a woman driven to prostitution. The fine songmanship is down to the siblings Dave Holden (guitar) and Louise Holden (vocals) who have been writing together for two decades. They took the decison to create a bigger sound back in 2008 and added a full band support to their ranks to form I Draw Slow who include: Violinist Adrian Hart, Claw hammer banjo player Colin Derham and Double bassist Konrad Liddy. Whatever their visions back then the results are pure gold. Louise Holden’s vocals have an endearing quality that make the songs sound so real and authentic and this, combined with original musicianship, make them stand out from the rest. The band cover a fusion of genres and there is even some cajun dabbling on with Hesitation Waltz, whilst other tracks take you right back to the high lonesome sound such as Kingdom on which Colin Derham plays a haunting claw hammer banjo to the emotive vocals of Louise which are reminiscent of the hugely popular performance of Alison Krauss on the soundtrack to ‘O Brother, Where Art Thou’. After hearing tracks such as Goldmine, Goodbye Beulahland or the high rolling Low Down Girl Like Me, I can see no reason why they can’t be as big as Alison Krauss or Abigail Washburn. It’s about time they got more exposure and set their live tour visions beyond the boundaries of Ireland as they will go down a storm across Europe and the US. Let’s hope they get the support they need to do so as this is, without a doubt, their best release to date and their future is looking great!